Brother Jesse Blog: My Father Search Series Update: It was the right door! I found my uncles! My Father Search Series Update: It was the right door! I found my uncles! I went to the door and I honestly didn’t know what to expect. All I knew was that this could have been a moment that would change my life forever or send me back to the drawing board. When I last blogged about this, I told you I had obtained an address that had the names of my two uncles, Larry and Curly, listed as the owners. On the afternoon of July 4, my family and I drove out to that address. It ended up being located in a nice neighborhood in Katy, Texas. I said a prayer and armed myself with my manila folder that obtained my father’s death certificate, photos of him and my mother, a picture of my grandmother, and all of the research I had done up to that point. I came prepared. I rang the doorbell with nervousness. A tall dark Black man came to the door wearing a red shirt and eye glasses. I then uttered the words…..sigh….wow I am getting teary-eyed just remembering this moment. My smile stretched beyond ear to ear. I couldn’t believe it. It was the correct address! I found my father’s family! I said to myself “Allah u Akbar!” I went to the car to get my family and my wife knew by my smile that it must have been good news. I started from the beginning of this entire search going back to September. He was in awe of it all. Then he went and pulled out old pictures of my father from his younger days including a high school graduation picture. (shown below). Uncle Larry gave them to me as a gift. He told me about my Uncle Curly, who has been stationed in Iraq for the last five years working for a corporation that handles the laundry for the U.S. military. Uncle Larry is a veteran truck driver. For the first time I found out I had two aunts as well. One is deceased and the other one, Aunt Marilyn, is retired in Galveston….I talked to her on the phone. She was so happy to hear from me and is looking forward to seeing me in person soon. Between all of them I have about eleven first cousins living in parts of Texas and Louisiana. I will get to meet them all too. Uncle Larry then started sharing with us how exactly my father ended up being shot and killed. This was the tough part to digest. He said my father and another guy was fighting in a club in 3rd Ward in Houston. My dad was getting the best of the guy in the brawl. They ended up taking it outside and the guy went to his car, got a gun and shot my father. My father reportedly staggered back into the club just before the killer came back and shot him again point blank. 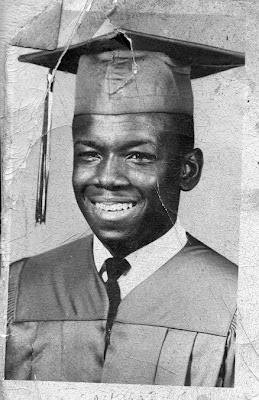 Uncle Larry went further into how my father got wrapped up in the street life of hustling. He described how they were saddened and shock that my father even went that route, especially since he wasn’t the type. My father’s funeral, held at McCoy & Harrison Funeral Home, was packed with “pimps, prostitutes and hustlers” according to Uncle Larry. “Your father was deep in the streets and had major influence,” said Uncle Larry. He even said it was at the funeral that all of these street hustlers found out for the first time that my father even had family because he kept his family separate from the life he lived in the streets. There is more but I will save that for future blogs. 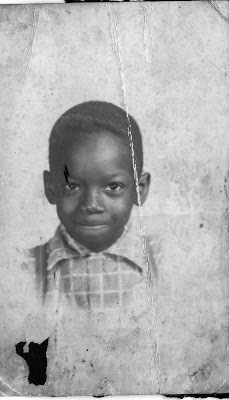 He pulled out a picture book and showed me a photo of my deceased grandfather, Joe McCray Sr. I have his features as well. That nose. I came to the house thinking my grandfather might still be alive, but he’s not. I look forward to learning more about him and my grandmother. I could only grin like a five year old who just received a Nintendo 64 for Christmas. Throughout all of this I wanted to just shed tears because I have heard stories from people during my search who have been trying to find their parents for years without success. And here I was sitting in the living room with one of my father’s brothers face to face after ten months of searching. God is great. Uncle Larry and I exchanged contact numbers and we’re planning to get together again real soon so I can roll around to meet my other relatives. We hugged several times, took some pictures together and then he dropped some other information on me before we left. “You got a little sister around here somewhere also,” he said. “Huh? For real?” I said. I remember my father’s death certificate stating that he had a surviving spouse. Well according to Uncle Larry the two of them had a baby girl. I got excited even more. I have a sister to find. I left Uncle Larry’s home in amazement. Has all of this sunk in for you yet? It hasn’t for me. I feel like I am on the set of a Tyler Perry movie. By the Grace of Allah (God), a new chapter is beginning. 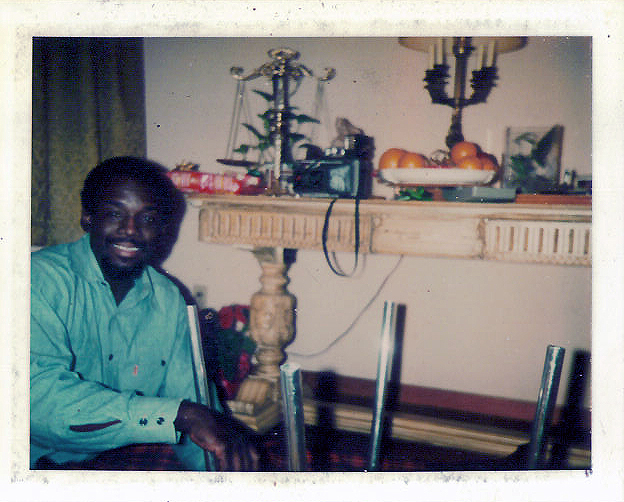 My father is not physically in my life but I now have a chance to embrace his essence in my uncles, aunt and cousins. Soon I will get working on finding my little sister because I would like to embrace her. She might not know about me either. There is not a word in the English dictionary to describe how my entire family and I feel right now. P.S. Also, I found out how my dad and uncles got named Larry, Curly and Joe. My grandmother took care of the children of a White woman back in those days. The White lady named them that. Go figure. As a girl who has found 2 Big Sisters & a Little Brother this year, I know the joy you're feeling. As a genealogist who's spent the past 12 years researching, I know that when our "dots" connect, it is with the assistance of God and the Ancestors. You're Father and Ancestors are blessing you. Healing you. Well, I wouldn't compare your experience to a Tyler Perry movie, but Praise God!! @Luckie Thank you for this beautiful comment and congratulations on finding your family!!!! @Zack LOL...I understand your point but you know what I meant. I appreciate you support through all of this. Bro. Jesse, this is a movie or at the a book. It's a fascinating read!!! so happy for you. i know everything will take time to sink in, but eventually it will. you are blessed even more because your father's side of the family is happy to have been found. and you have a sister! so many great things can come of this. this is wonderful news. again, i applaud you for documenting this experience. perhaps you should write a book. it is sort of a blueprint for those who are in your situation. there are people right now who don't know where to begin or are too fearful to begin the search. but your story is one of strength and courage. i hope that this is filling that "void" that you once felt as well as healing whatever pain you had from not "knowing." Brother Jesse, you're life story can very well become a Tyler Perry Hit! Or if not Tyler Perry, some other filmmaker; but the point is, I read a previous comment where someone chopped down what you felt about your own life! I pray that you are writing your autobiography, and never allow the naysayers to shoot you down! @Jaymeson : I appreciate all of your love and support...and yes it is filling that void. PBTA Brother. Thank you for the encouragement. And when Zack made the comment "Well, I wouldn't compare your experience to a Tyler Perry movie.." he actually meant that in a GOOD way. Meaning he feels my experience supercedes some of the content found in Tyler Perry movies. So he wasn't shooting me down...I know him personally. Good man. But I appreciate you having your brother's back. (smile) Prayerfully we will have a NOI Studio to produce it in!!!!!!! And yes I am writing the book. ASA Brother Jesse. 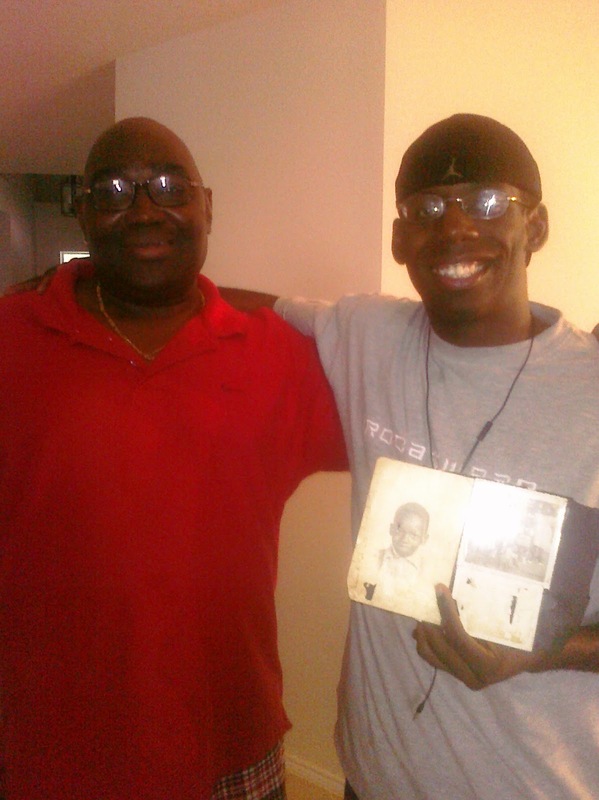 This Brother Bryston and I just wanted to congradulate you on your succes on finding your fathers relatives. I also would like to say I resently fround my father. So if you haven't seen me lately I've been at my dads house for the summer. But it all started when I found my brother on facebook and we talked and I gave him my contact information and my step mom had gave me a call. And from that point on I've been in contact and visiting the whole Roberts family. So that's all I wanted to share with you and congradulations again. All praises due to Allah! Words don't express the joy I feel for you. I said it before on one of your other blogs, this is the makings of a major movie. I could see Willl Smith playing you. Again congrats on locating more of your heritage. Peace Bro. Jesse. Pbta! You have inspired me to find my father sir. May Allah continue to bless you on your journey and even to go further. Keep digging Bro.